I don't know if you've seen the super dooper delicous boxes of Robert Kaufman Kona Fat Quarters (which I have been eyeing-off for some time), unfortunately shipping these across the Pacific just isn't an affordable option, and so these bundles of Kona Fat Quarters in a selection of colors are definitely the very next best thing! Ooooooooh! Aaaaaaaah! Those are so gorgeous! I especially love the Flying Purple People Easter collection. What beautiful colors! Have fun creating with them! You lucky duck! How juicy are those colours?? If my stash wasn't so pathetic, I'd get some but right now I'm trying to amass prints. I was at the Sydney quilt show today (going back on Friday, btw) and saw Poseidon in the flesh. $80 (ouch!) but it is totally different to the pics I've seen online where the light colours at the end all look sorta wishy washy white. Now I lust after the things even more. Sigh. 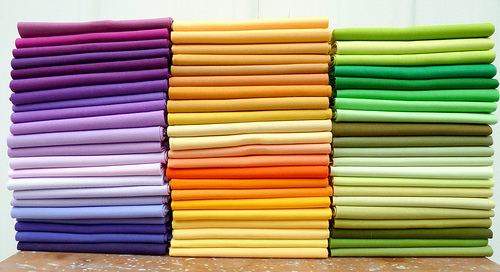 I LOVE Kona cotton solids. I am working on a Grandmother's Flower Garden and had to get an FQ of the 'right' color for the inside ring of each flower to match the 30's print. 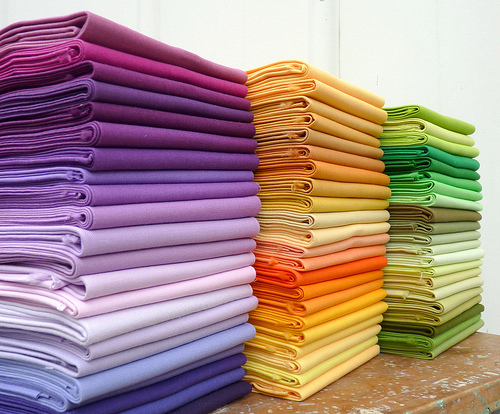 Those stacks are dreamy :) What will you be sewing from them?? Ooooh, I love the Poseidon. How vibrant they are! Love the candy corn tones. I love these colors. My favorite is the purple. We in Hungary there are no such materials. I love these colors! I can't wait to see what you will do with them. 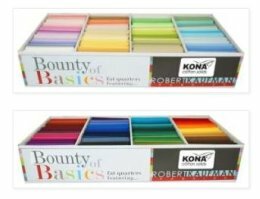 Kona offers SEW many colors, everyone should be able to find the one/two etc they are looking for.